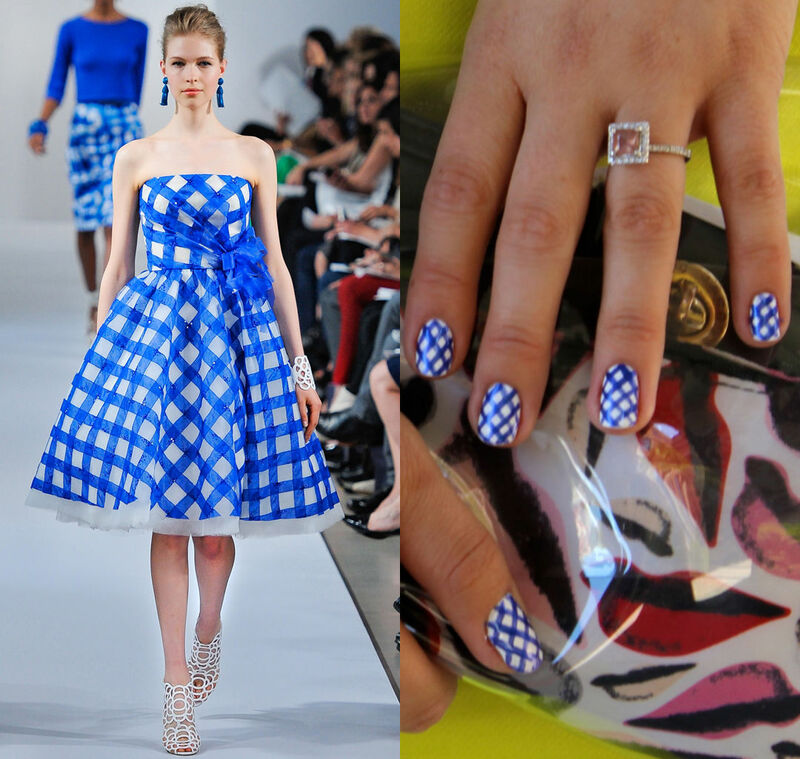 I've been wanting to paint blue gingham print on my nails ever since I saw photos from Oscar de la Renta's spring 2013 resort collection. I mean, that blue is stunning, right? 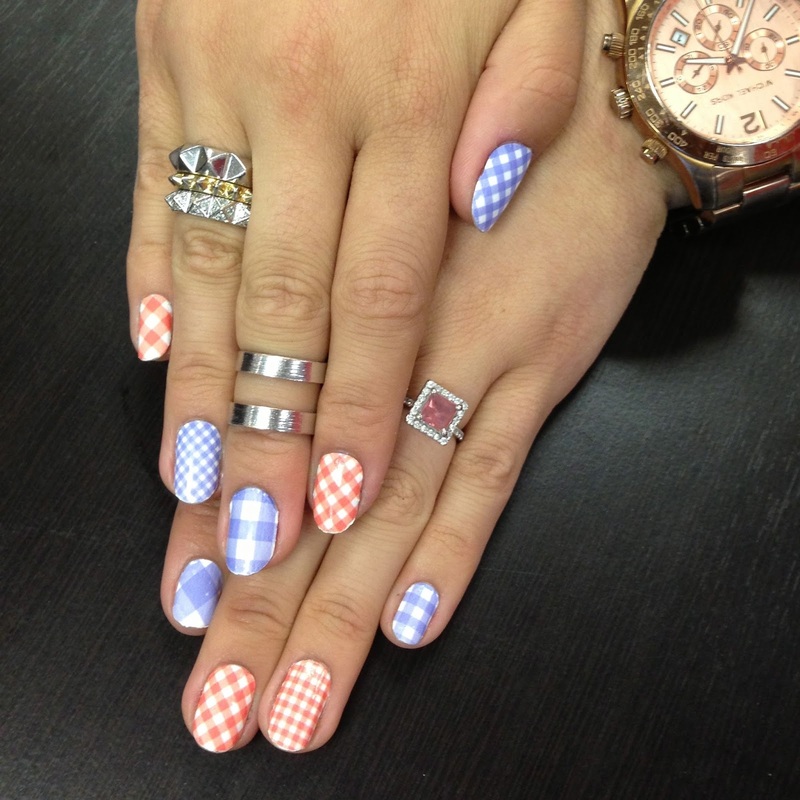 Well, recently, I finally got around to getting my gingham on! 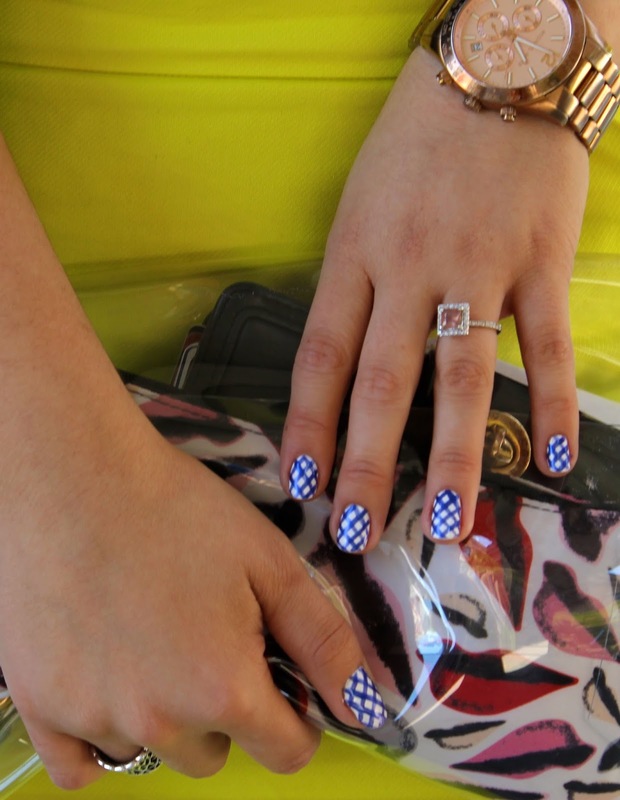 I used Illamasqua 'Scorch' for the base and painted the gingham using OPI 'Blue My Mind' with a nail art striping brush. See a little of my technique in this video below. Um, yeah. 100% copying this mani. So special. I never did this style of nails before. But I will try tonight. Wonderful! I hope you'll share the results!